Changed from Dutch Masters Gold which is no longer available very sad times! have to say Cyco is giving me a hard time, I PH to 5.5 and within a few hours its well on the way to 6-6.2 it will just not stay down im adding PH down at ridiculous rates. Using RO water 0.0 will be adding DI to that and see if that makes a difference, ive gone through everything? Id be happy to assist you on figuring out what's going on. First I just need some extra info! What products are you currently using? The entire Cyco line? 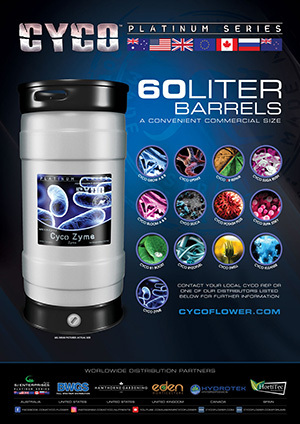 Any other products besides Cyco? Water temp? Water quality. Also what dosage (Ex.how many Ml Per Liter) Thank you for your support, I look forward to hearing from you! Did have the ec at 1.5 but saw slight increase so dropped it down to ec 1.0. Have had to use Dutch masters liquid light and saturator to hopefully recover them a bit similar to last time. full ro with di so ultra pure water, there appears to be a common pattern of the ph regardless of the stage it will simple keep rising. Have found this nutrient to be very touchy for getting things going. Bump. Using RO water, temp at 68f. 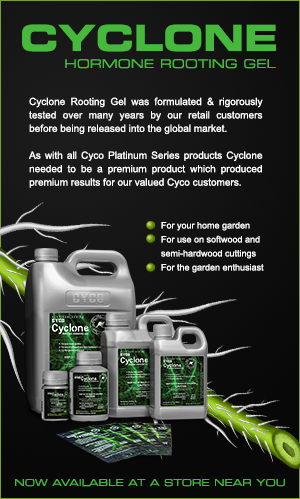 Use the whole CYco line with Drip clean. and PH of Rez stays above 7 after every feed. Have to dump a rediculous amount of PH down in to Stabilize. Having similar issues have had to abandon using it for the moment, has caused extreme amount of problems basically nearly killing them. I've been through everything and cleaned everything, it comes down to the water or the nutrient. I can't get the PH to stay within acceptable limits, seems to just want to sit at 6.0-6.5. I would hate to find out how much PH down is required. Would you say, you have only experienced with this product? Got some advice from a friend who has been running a recirculating system for several years with success. They use Aqua Flakes A&B as a base nute given its designed for recirculating system and PH stays in a tight range after each re circulation. haven't tried it personally yet, but intend on changing reservoir out soon with new formula since Cyco didn't have any recommendations to keep ph stabilized in my reservoir. I wanted to add to the post in case anyone else is having similar issues. Reasonably new to this and running a 45l dwc resivoir and having trouble keeping the ph right. Within 24hrs ph has gone from 5.5 to 7.5. I’ve flushed cleaned and replaced water with no success. I have noticed though my Jerry can I’ve put some of the water from the res in.. is holding its ph. Please help! What am I doing wrong.? Got some advice from a friend who has been running a recirculating system for several years with success. They use Aqua Flakes A&B as a base nute given its designed for recirculating system and PH stays in a tight range after each re circulation. https://www.provillus.org/ haven't tried it personally yet, but intend on changing reservoir out soon with new formula since Cyco didn't have any recommendations to keep ph stabilized in my reservoir. I wanted to add to the post in case anyone else is having similar issues. Great. So we have an alternative. Aqua Flakes A&B sounds good. I'll give it a try and post some thoughts after.